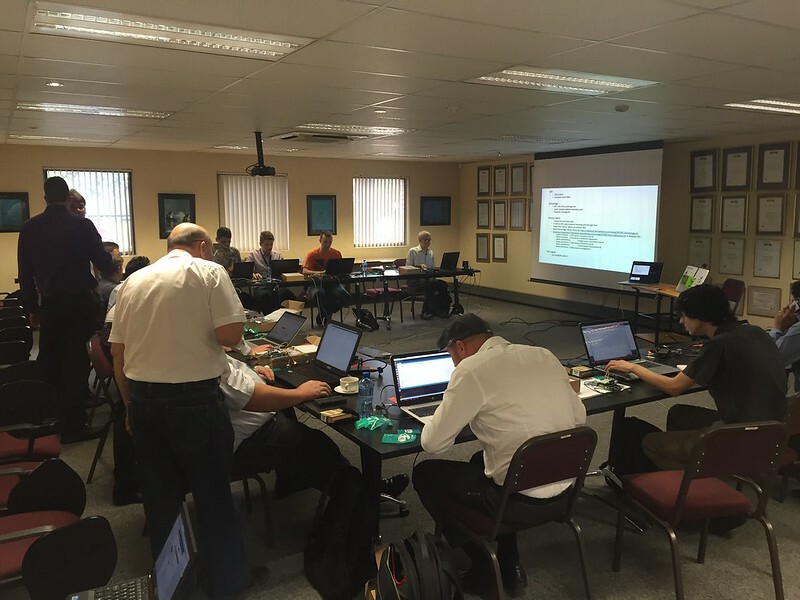 What does a hands-on mangOH session look like? A room full of developers, mangOH Green open source hardware boards, computers, cables, sensors, and of course some casual food and drink to sustain the session and help the networking. Add a presenter, a few expert folks to support attendees, and you're ready to get everybody developing an actual working IoT sensor-to-cloud application within 2 hours. It has been a pleasure to get you guys experiencing mangOH & Legato in the previous weeks, and we look forward to the next session! Please register at mangoh.io to get more news about mangOH -- which will be available soon for purchasing online. The next hands-on mangOH session is planned for the UK Device Developers’ Conference in Cambridge, April-27-28. Feel free to join and register for the session! We'll have some new & exciting things for you to test.